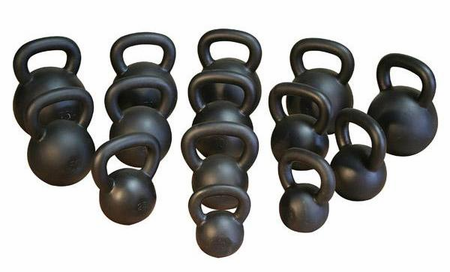 KettleBells have become one of the most popular trends on the health club scene. On any given day, you can see everyone from housewives to celebrities to business executives or professional athletes and trainers performing the most advanced kettlebell routines with perfect form. Now enjoy the many benefits of kettlebell training in the comfort and convenience of your own home. 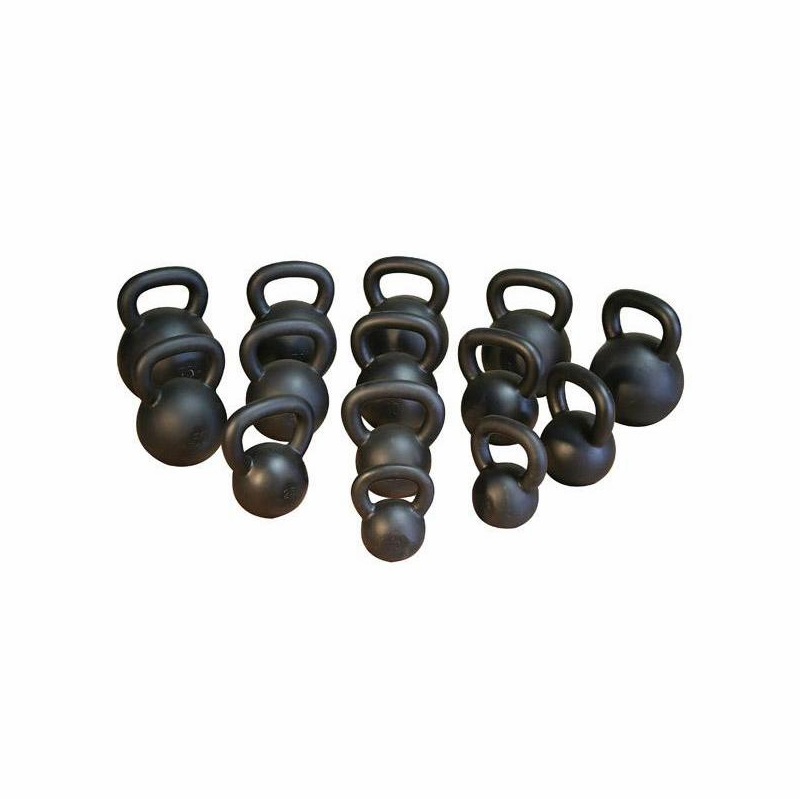 KettleBells are cast iron weights, which resemble a cannonball with a handle. A legendary Russian exercise device, the kettlebell has long been a favorite for those seeking a special edge in strength and endurance. KettleBell training develops strength, power, endurance and balance. 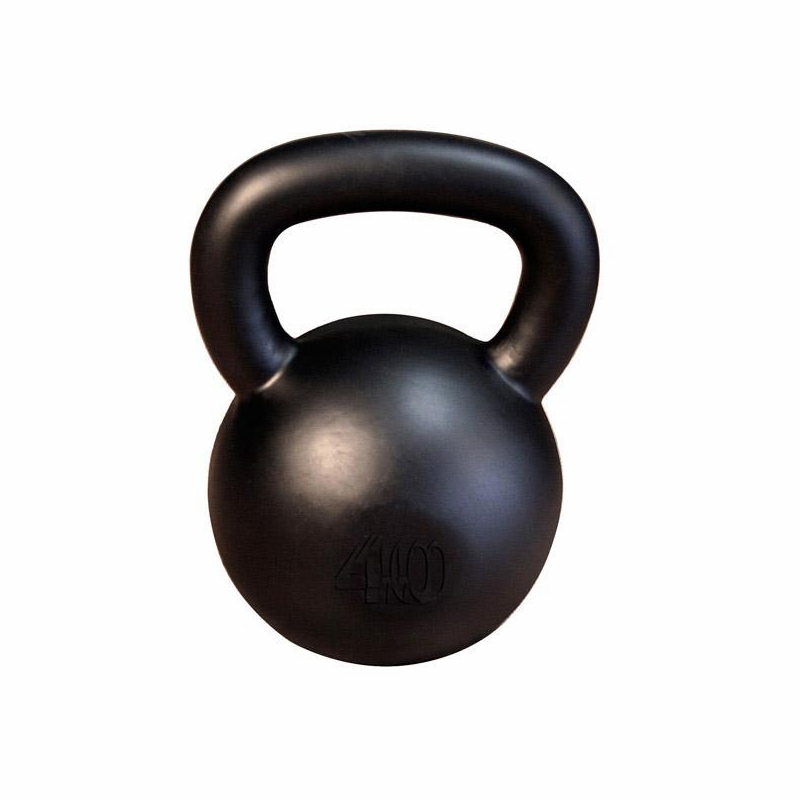 KettleBell workouts have long been a favorite of throwers, jumpers, sprinters and hurdlers. You can perform squats, pulls, overhead throws and rotational training plus much more. Cast iron with a black finish.